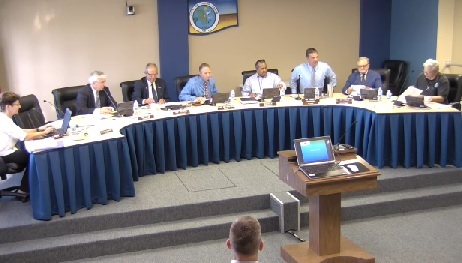 COCOA BEACH, Florida - The City of Cocoa Beach has announced that applications are now being accepted for filling a vacancy on the Cocoa Beach City Commission. The vacancy was created when Mayor Dave Netterstrom tendered his resignation effective December 31, 2015. This leaves a vacancy on the City Commission from January 1, 2016 to November 17, 2016. The City Charter states that should a vacancy occur in the Office of the Mayor, the Vice-Mayor will serve as Mayor until the next City election. The City Charter also provides that, by majority vote of its remaining members, the City Commission may appoint a qualified person to fill a vacancy. The deadline to submit an application to the City Clerk is November 23, 2015. Interested applicants must complete the application and return it to the City Clerk’s office, by e-mail: cityclerk@cityofcocoabeach.com, or in person: 2 S. Orlando Avenue. To be eligible, the candidate must be a qualified voter of the City, and have continuously resided in the City for one year immediately prior to filing as candidate. For additional information, including submitted candidate applications. visit ww.cityofcocoabeach.com, under Elections.